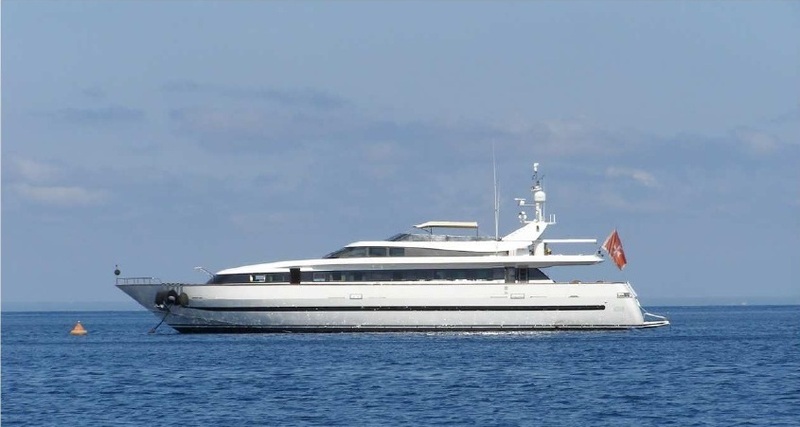 Motor yacht KENAYL was launched by well renowned Italian shipbuilders Baglietto in 1993, the yacht measures 32m (100ft) and can accommodate up to 10 charter guests in 5 cabins. 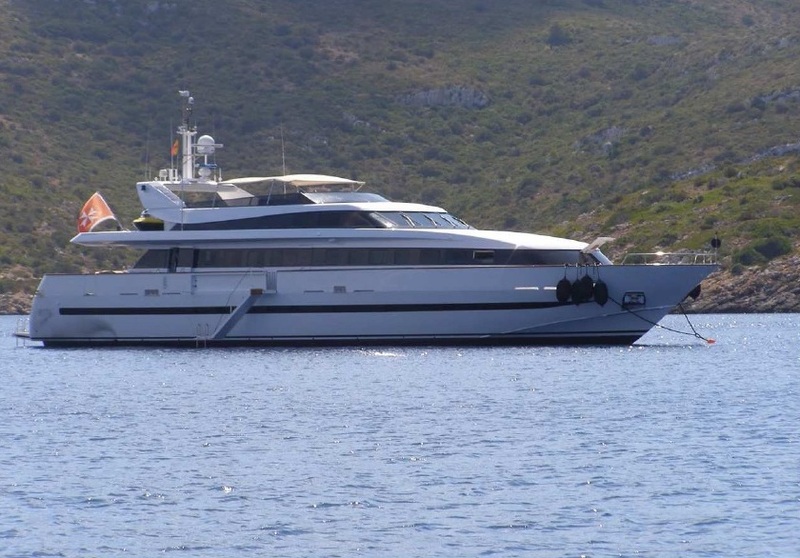 M/Y KENAYL ensures guests get to see the most of her charter grounds of The Balearics thanks to 2 x MTU 12v 396TE94 engines, enabling cruising speeds of 23 knots and maximum speeds of 33 knots. 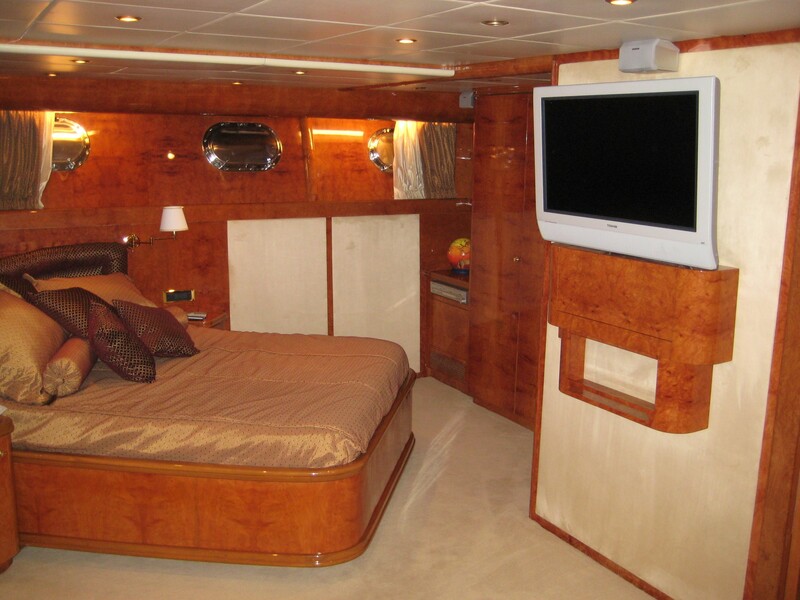 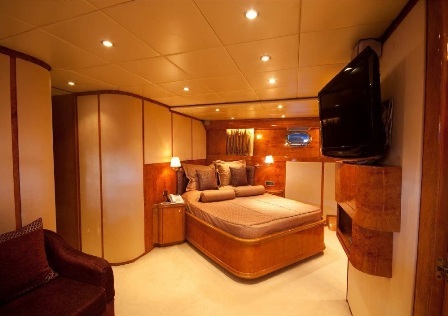 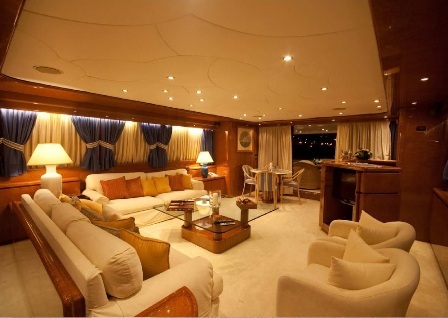 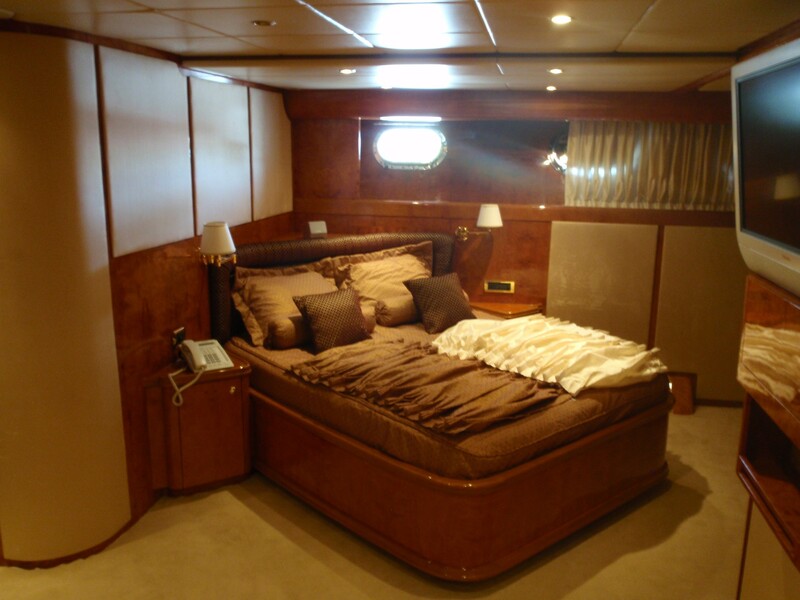 Motor yacht KENAYL has a warm and welcoming interior with fine wood panels and subtle cream soft furnishings. 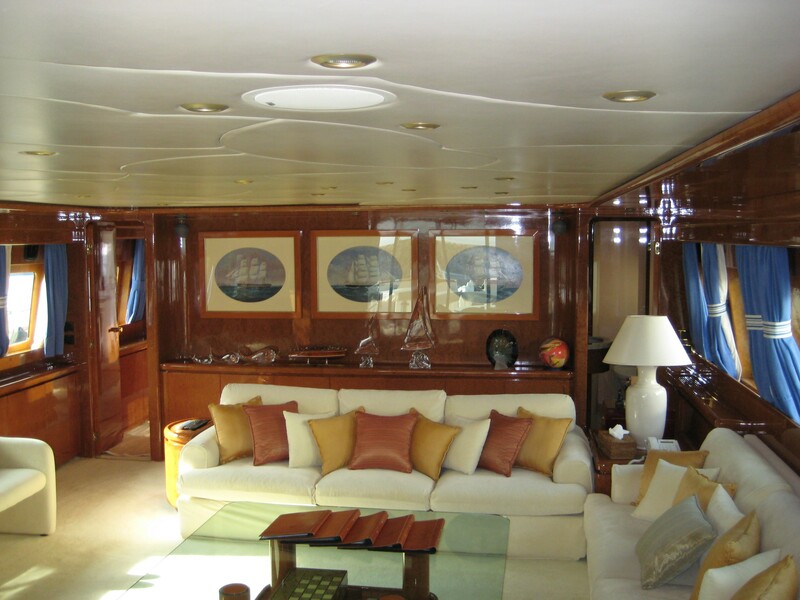 The salon is ideal for relaxing or entertaining, featuring two large sofas and 2 occasional chairs which surround a clear glass coffee table. 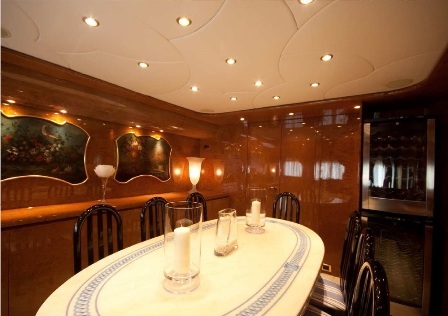 Aft of the lounge area and on port is a complete wet bar with a cocktail / games table to starboard. 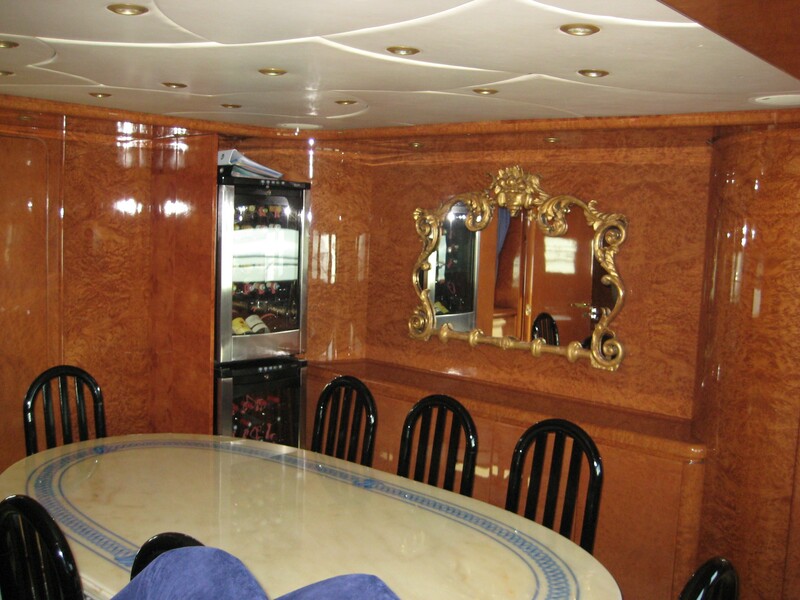 A day head is forward of the salon. 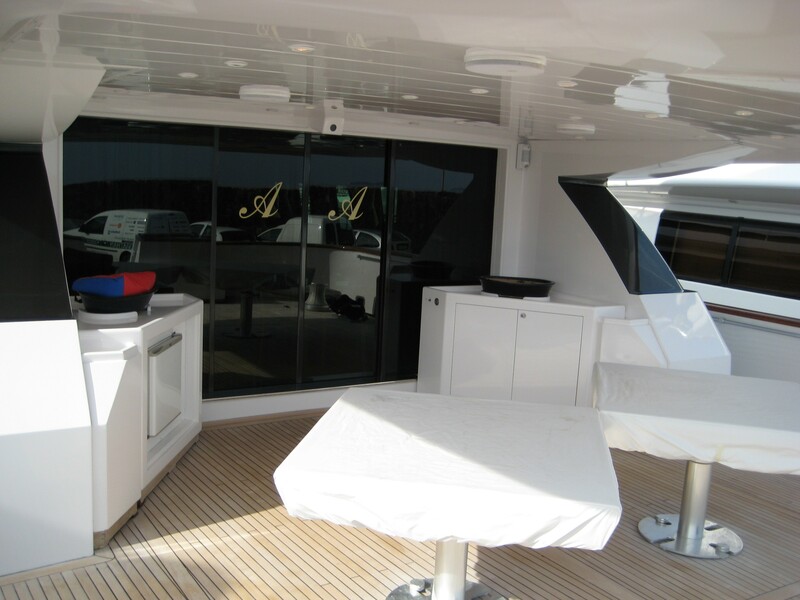 Panoramic windows and aft facing double doors allow plenty of natural light. 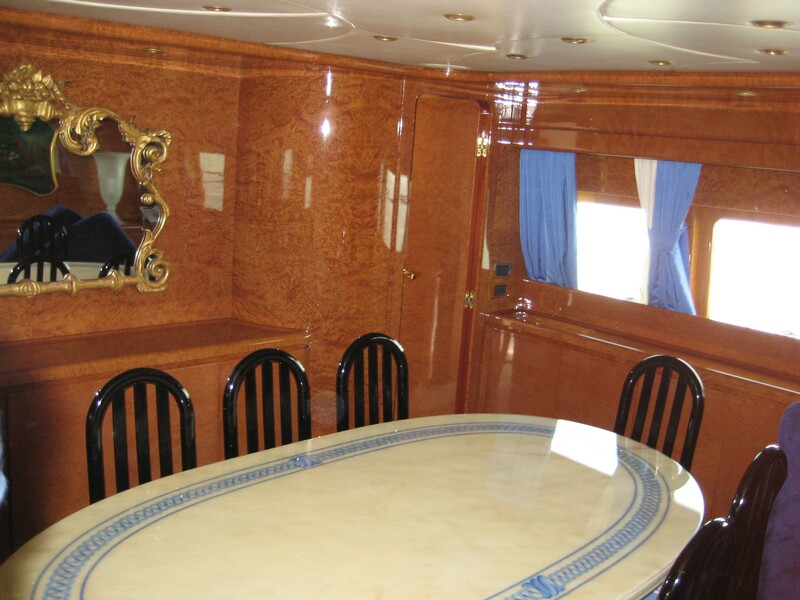 A formal dining area is separate and forward of the salon featuring a beautiful oval table and seating for 10 guests. 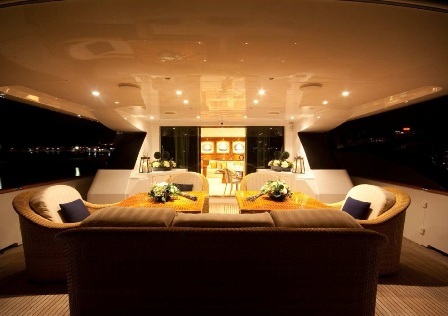 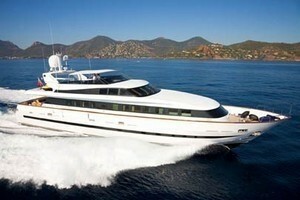 Charter yacht KENAYL has fabulous exterior living spaces enjoy and unwind. 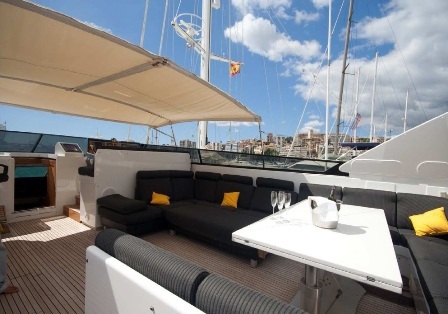 The aft deck is shaded and offers an alfresco dining option. 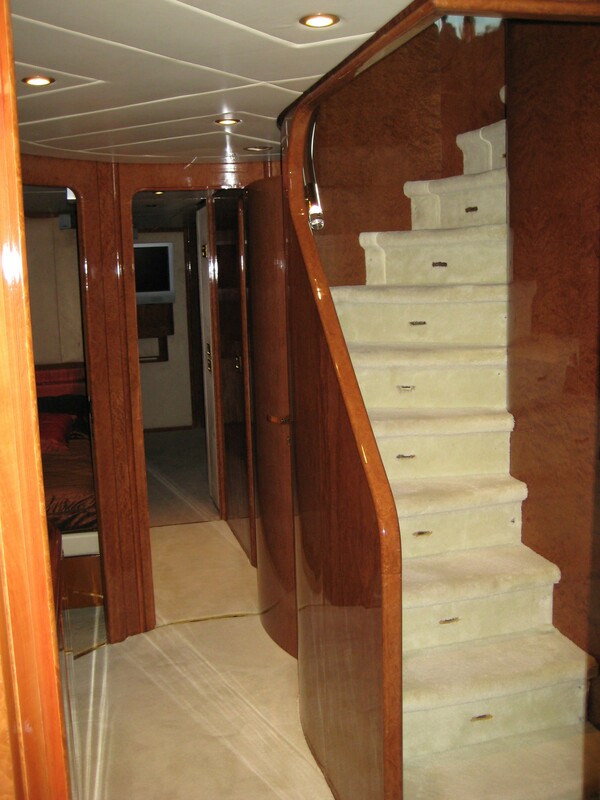 Water enthusiasts will find access to sea easy from the hydraulic lowering swim platform. 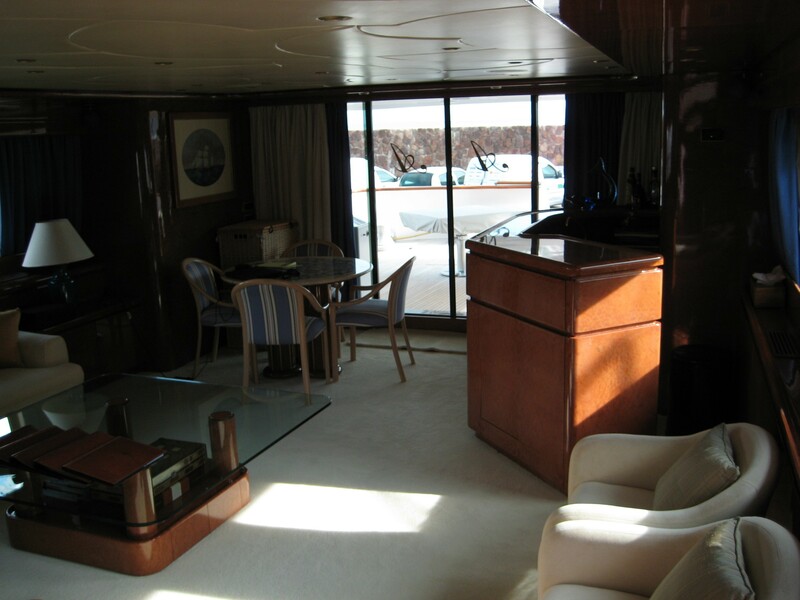 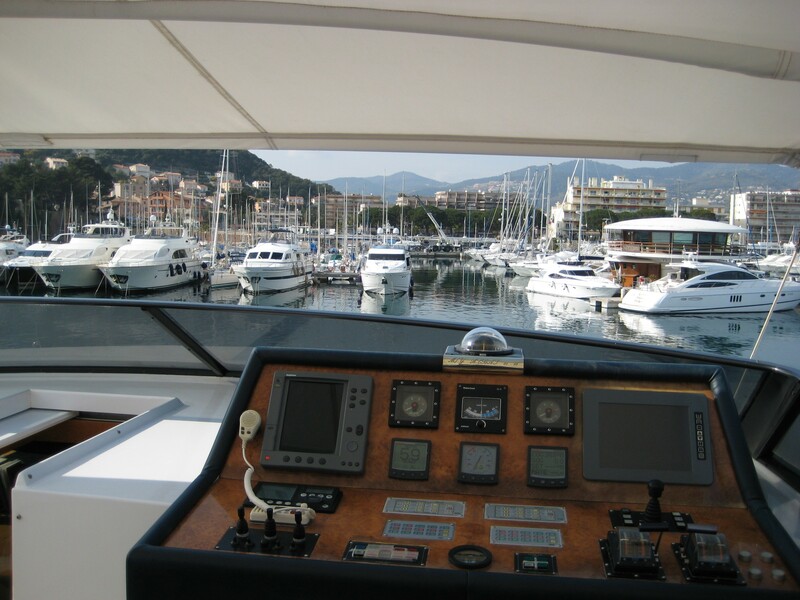 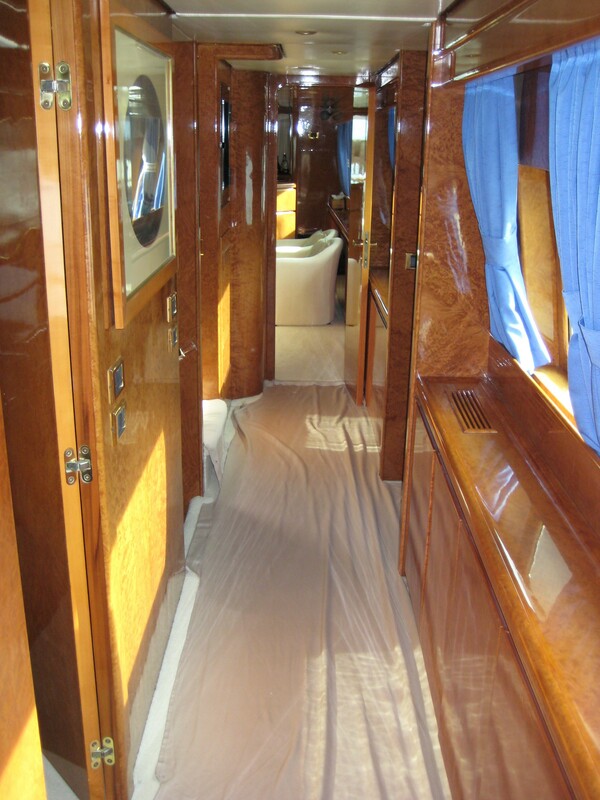 Side decks on the port and starboard side of the yacht lead to a large foredeck. 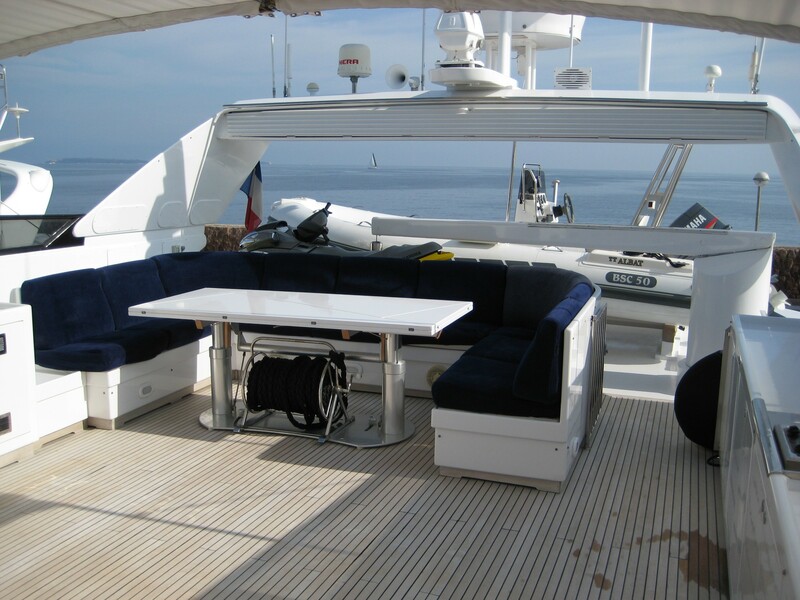 Above the main deck a flybridge and sunning area offers a further alfresco dining option, optional shade and comfortable sunpads. 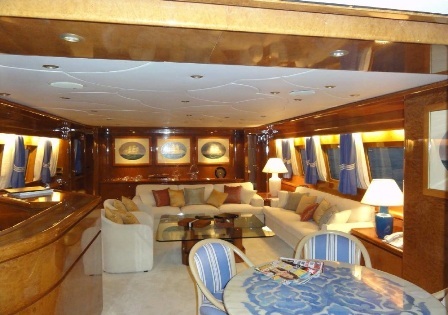 Yacht KENAYL has a beam of 7.6m (23ft) and a draft of 2.3m (7.7ft). 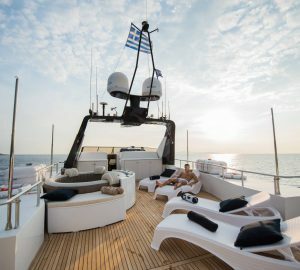 Luxury Baglietto yacht KENAYL boasts accommodation for up 8 guests in 1 master suite forward on the on the lower deck with king size bed, private entrance, closet and office space. 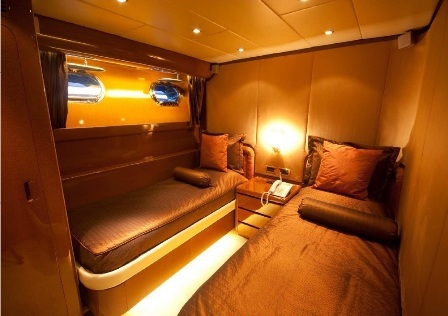 2 VIP double cabins are aft with king size beds. 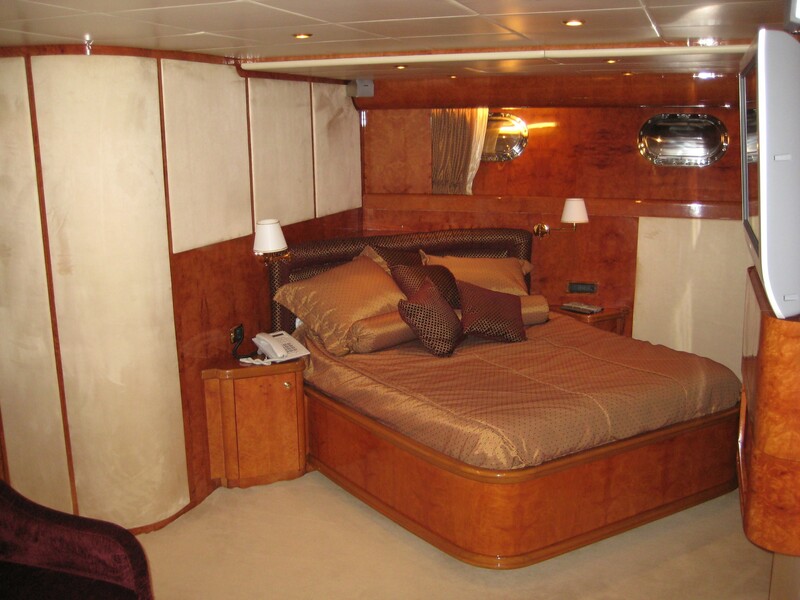 1 twin cabin and 1 Pullman berth cabin are amidships and have single beds. 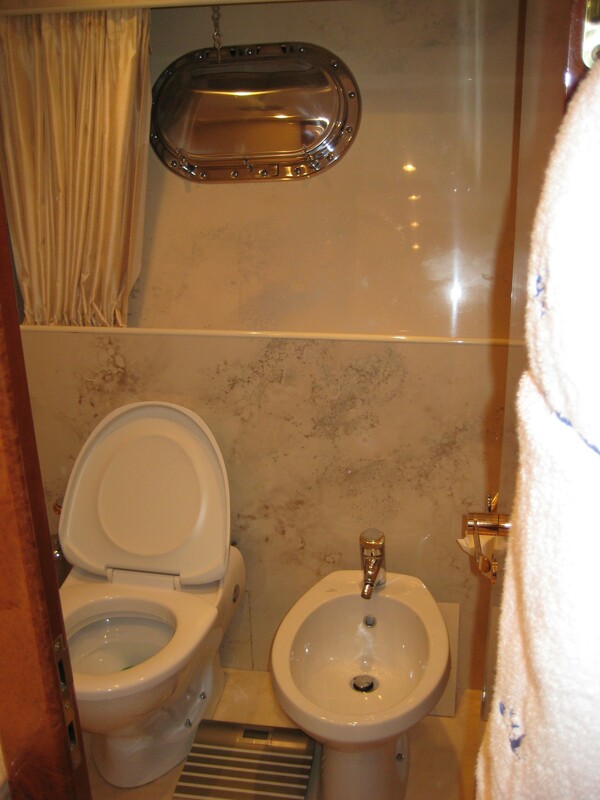 All cabins offer a tasteful neutral minimalistic décor and en-suite facilities. 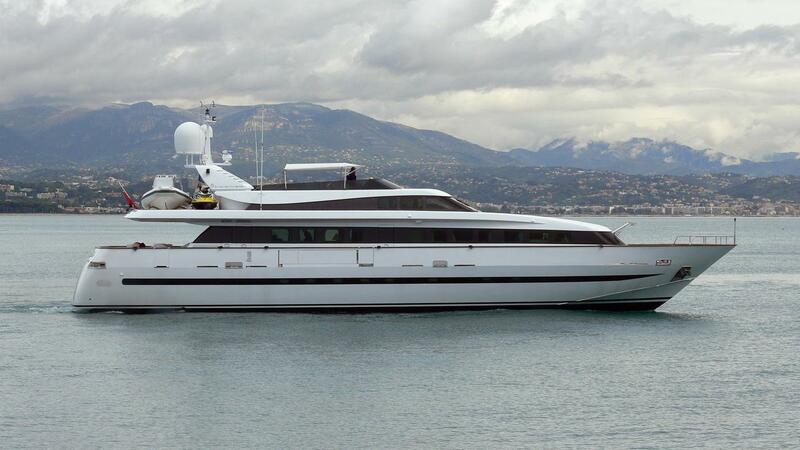 M/Y KENAYL has Internet, Satellite phone, Satelite TV, DVD, Sound system, Zodiac 4, 5 for 5 guests, Jet Ski Kawasaki 3 seats Donut /towable toy 2m x 2 m Water skis.